The Author had the Priviledge to be closely associated with Yogiraj Satya Charan Lahiri (Grandson of Lahiri Mahashaya) for a period of Dt. 31-12-1963 to 22-01-1987 (23 Years and 23 days). He attributes all his spiritual knowledge to the grace of Yogiraj Satya Charan Lahiri. 1. 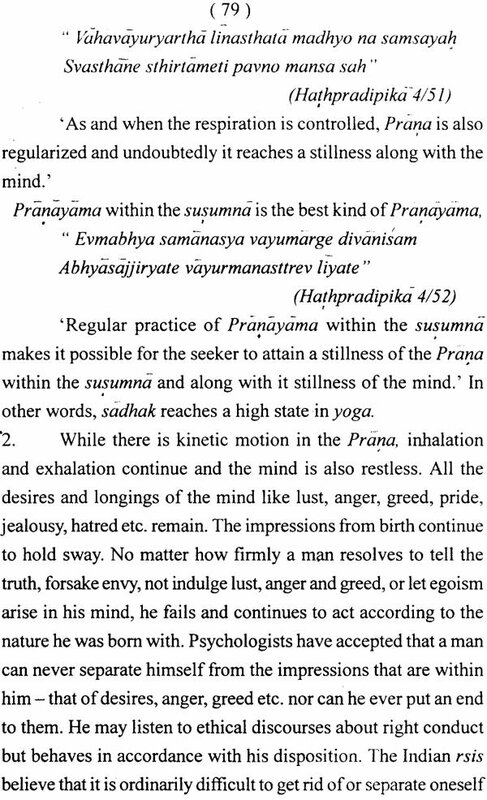 Brahmacharya and a Householer Mahayogiyogi (in press). 2. 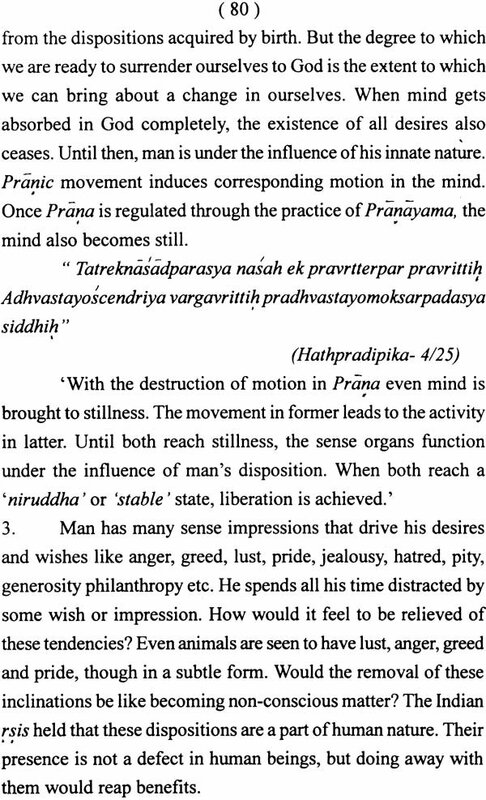 Dharm and its Meaning. 3. 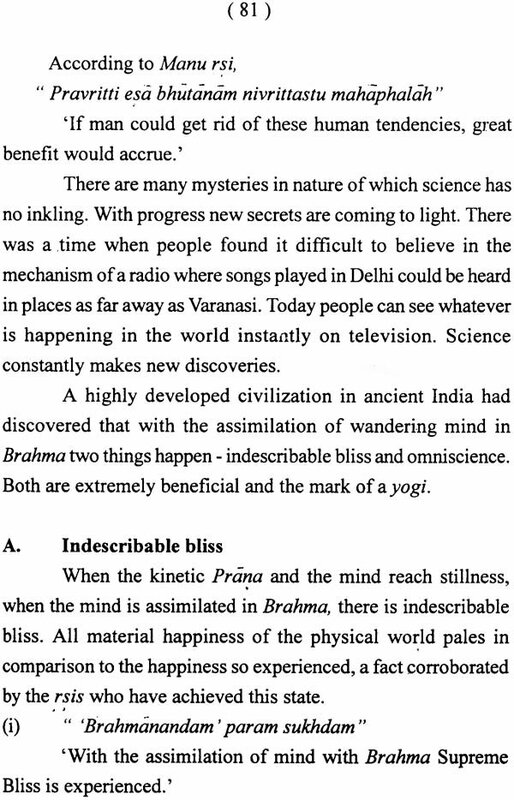 Spiritualism in light of Science. Stories in the scriptures and mythological texts often seem imaginary, hyperbolic and unscientific, sometimes unbelievable. The causal words of a sage turning out to be an accurate prediction, foreknowledge of the truth, descriptions of events that sound almost magical, all establish how accomplished the sages were, endowed with divine vision, clairvoyance and omniscience. Today the modern scientific world questions the aim of such stories, which seem quite incredible. If there are such occurrences, what are the principles behind them? Man has always encountered within himself questions about his essence, life after death, function of the world, and the world controller 'God' or Isvara, which remain unanswered. The Indian sage accepts the existence of God established through inference, as there is no perceptual proof for the existence of God. These inferences have been enumerated in this book. A highly developed civilization in ancient times discovered that this universe does not function by itself. There is a knowledgeable conscious power working behind it, regulating, controlling and directing each and every atom of the universe. Indian rsis refers to this conscious force as the Isvara or Brahma. To know Isvara or Brahma through perception is referred to in the scriptures as coming face to face with Brahma or Isvara. This state is marked with virtues like omniscience and clairvoyance in a person. His words come true. The Knowledge of God-realization gained by the rsis in the ancient days is a scientific process known as Brahma Vidya or Yoga Vidya. Its basic principle is that Man has a restless mind. Constant generation of random thoughts is characteristic of the wakeful state, from the time he wakes up till he falls asleep at night. When this mind is focused in one direction continuously it leads to concentration. For example, when the mind is focused on reading it is active for a stretch of time in a particular direction. The extent and duration of this concentration depends upon progress made by humanity is a result of this concentration. Doctors, professors, engineers, mathematicians and the like have reached their aim only through single- minded concentration. Nature has endowed man with this capacity, which differs from man to man. A stable or a niruddha state is nothing other than a mind at kept at single-pointed focus. 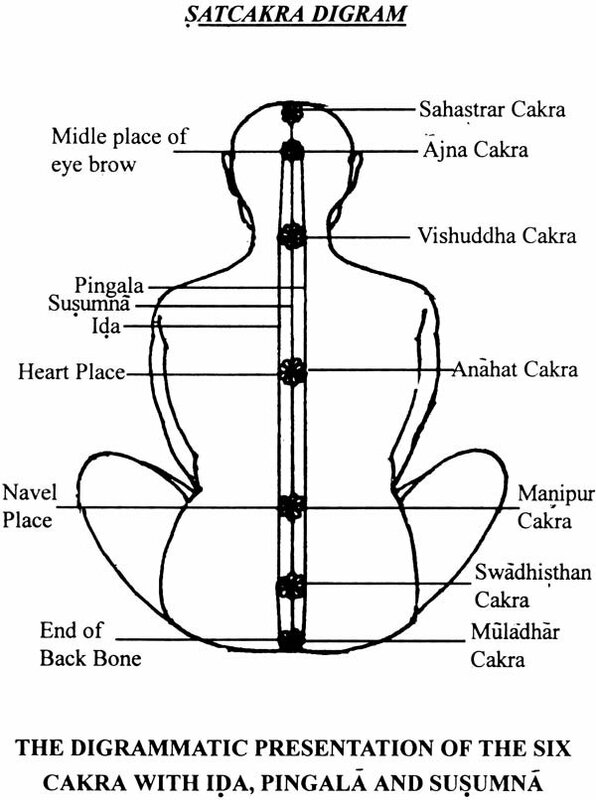 Concentration of mind at one point, bringing it to rest is called yoga (union). This cannot be done without effort. Just as we know that the milk contains butter but we cannot separate it from the milk without following a set procedure, we need to apply a scientific process to bring our mind to a point of rest. 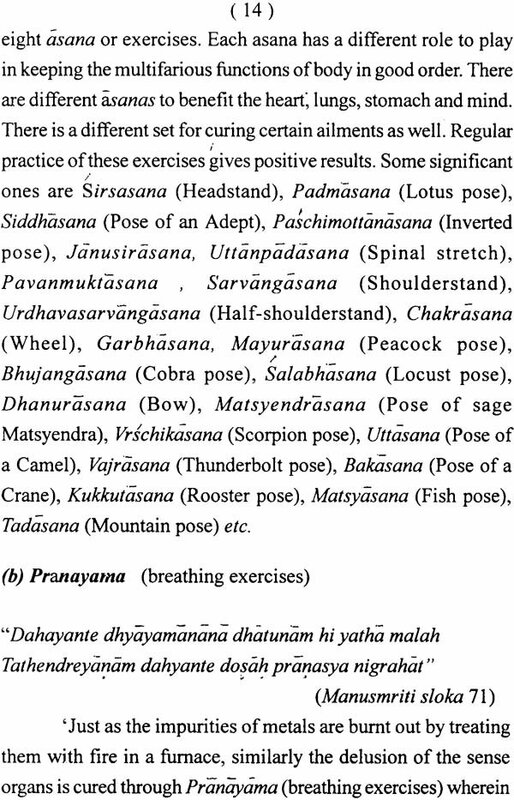 Knowledge regarding this process gained by our ancient rsis is known as 'Brahma-Vidya' or 'Yoga-Vidya'. Various Indian religious scriptures such as the Gita, Upnisads, Patnjali's Yoga Sastra, Yoga-Vasistha, Hathpradipika, and Jnanasankalni contain detail of this knowledge. This is certified by the following lines at the end of each section of the Gita. 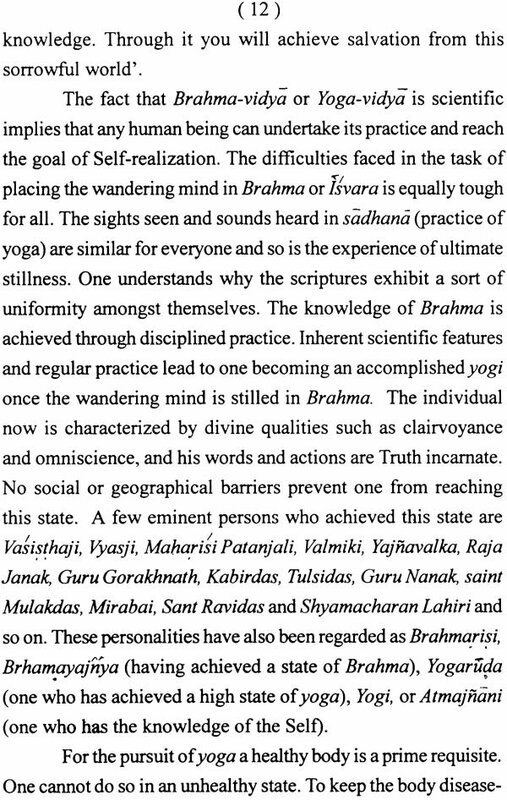 'Brahma Vidya is the only truth described in Upnisads, YogaSastra, and also in the dialogue between Sri Krisna and Arjuna in each part of Gita'. Any man or woman can practice scientific yoga-Vidya, the only requisites being a healthy body and a keen questioning mind. A misapprehension prevalent among people is that it is not possible to achieve a high state in yoga while remaining a householder. The highest form of yoga science  the sermons of the Gita  were imparted by Sri Krisna, who was a householder, to Arjuna, who was again a householder. So were the rsis of the ancient days. 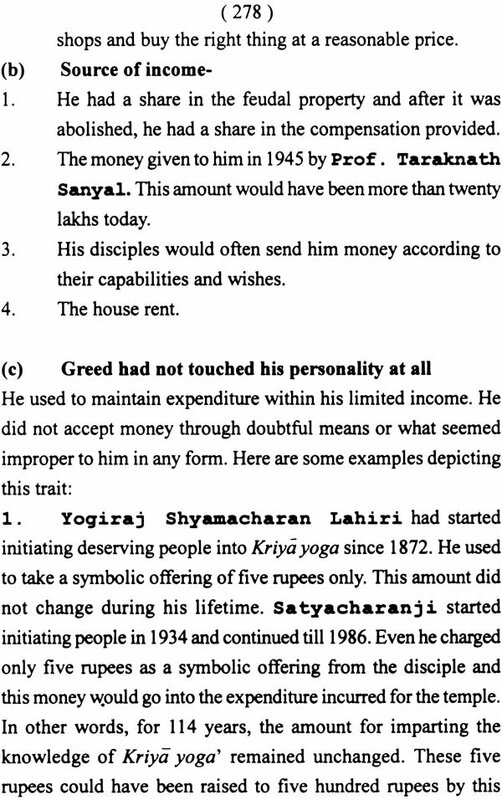 In modern times, Mahayogi Shyamacharan Lahiri had reached the highest state of yoga despite being a government servant and a householder. 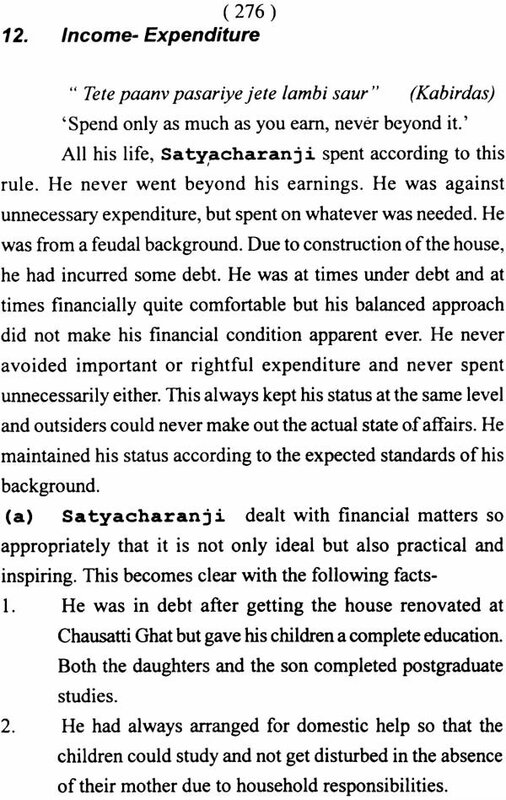 His life is an ideal example wherein he has shown how one can be in a profession for financial sustenance, run a household and yet practice yoga to reach greatest possible state in it. His sons, grandson and many followers have walked the same path. Mahayogi Shyamacharan Lahiri's grandson Yogiraj Satyacharan Lahiri was very dear to him and reached great heights in this field. This stage can never be reached through mere study or instructions. Being knowledge of soul, it can be achieved through practice of yoga or meditation with the guidance of an experienced guru. After all, Indian scriptures have been written by self-realized yogis, so their subtle and deep mysteries can be grasped only by equally realized yogis, so their subtle and deep mysteries can be grasped only by equally realized souls. 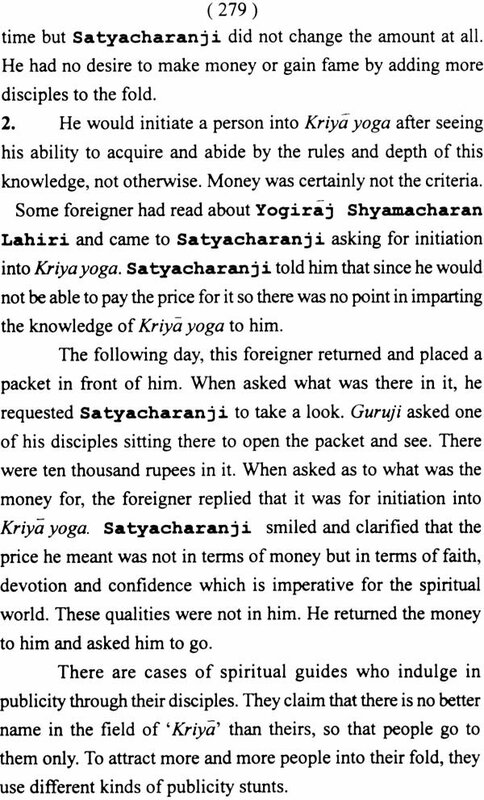 Yogiraj Satyacharanji's analysis of the scriptural texts was extensive, logical and scientific. Some of his discourses have been incorporated in this book. 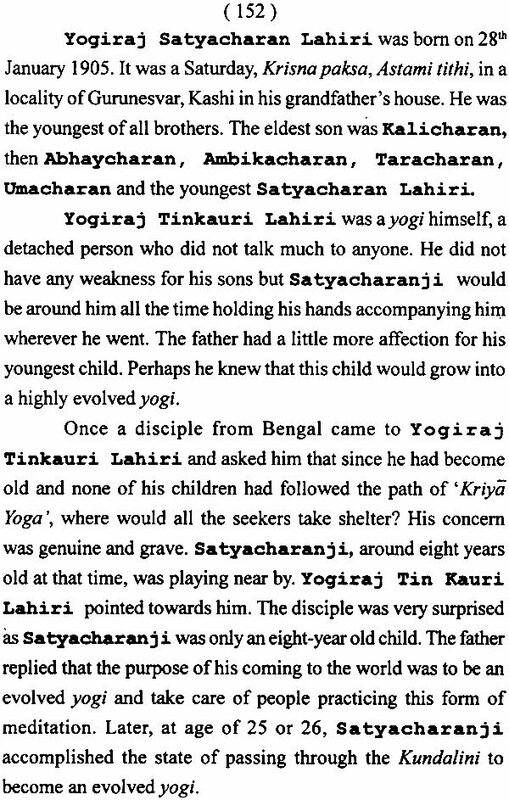 The biography of Satyacharan Lahiri, a householder-yogi, who reached unparalleled heights through the practice of scientific yoga-Vidya is a wonderful example of the type of life that sages have led. There are incidents in the biography about events from Satyacharanji's life and his yogic power  the influence he has had on his followers and his devotees alike. They are trying to follow his ideals and lifestyle even today. Religion in its pure form is scientific. This fact has been supported through analysis. Yoga Sansthan Prakashan has published the book. I remain obliged to Shri Prakash Shankar Vyas for making its English translation and also to Shri Haris Chandra Singh for bearing the entire expenses of its publication. Pt. 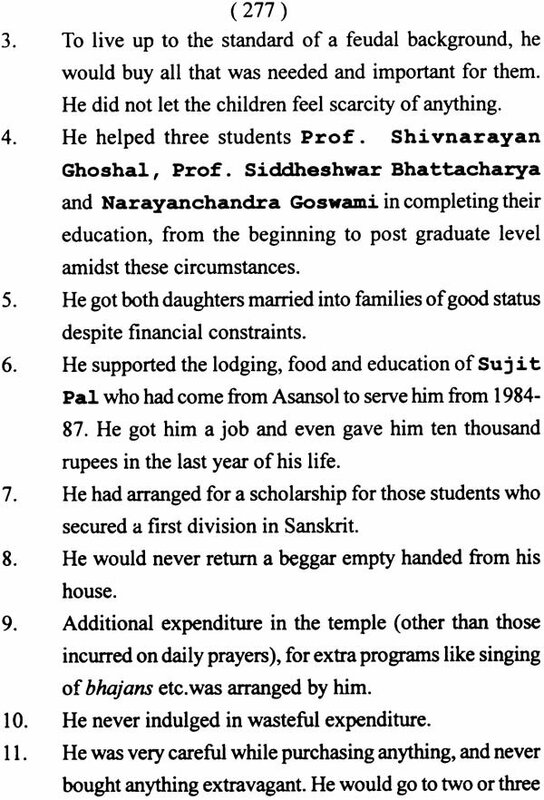 Karunapati Tripathi Former Vice- Chancellor of Sampoornanand Sanskrit Vuniversity and former Chairman of Uttar Pradesh Sanskrit Academy, Lucknow. 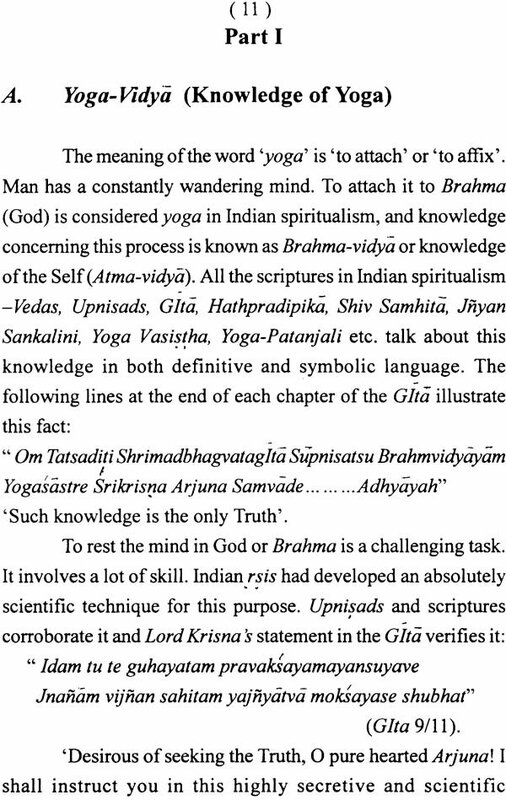 To write on the subject of yogic practice and 'siddhi' (realization) is not easy, as various forms of yoga are evidential and scientific. The depth of experience needed for verification is difficult to find. The author of this rare work Yoga and a Householder Yogi, Shri Shiv Narayan Lal is not only well versed in the science of yoga, but is also a keen practitioner (sadhak) himself. These two factors endow this work a definite scriptural conformity and authenticity. The book has not only described Hath Yoga Raj Yoga, and Laya Yoga, but also substantiated it with evidence, making it trustworthy and reliable. The analysis of the concept of 'Soul', 'Rebirth', and 'Consciousness' discussed in the light of science and spiritualism and the arguments offered are rational and credible. Whereas modern science has not been able to reach any conclusion on these issues till date, Indian sages have, since ancient times, provided us with a vivid description and recorded this knowledge in various scriptures and philosophical texts. From earliest times, man has questioned repeatedly, "Who am I? What was I before this birth? What are my duties in this life, and will my actions affect my existence after death? Does this world function on it own or does a Creator 'God' control its function?" Our Indian scriptures, mythological stories and philosophical texts answer these issues in their own way but the stories narrated in them appear to be imaginary, hyperbolic, irrational and unscientific. Through examples, this book tries to show that the real truth behind these stories is profound, deeper than mere words. Indian culture and civilization had reached the peak of development at one point of time. Faith in Indian spiritualism and culture is further strengthened making us proud of our country-India  and Indian sages.